In Washington State, when you buy a car, you must obtain the necessary documentation from the seller in order to register and tile the car in your name. You will need to obtain the vehicle title and bill of sale, and other documents to use then when registering the car. Moreover, the vehicle must also pass a vehicle emission test before registering or titling it. After collecting all the required documentation, you can then proceed to register your vehicle with the Washington Department of Licensing (DOL). Your application will be processed and be issued with a new license plate for your vehicle. Vehicle title, signed by you and seller with correct date. Bill of sale. You and the seller must complete and sign Form TD-420-065 (Vessel Bill of Sale). Odometer disclosure statement. The seller must fill this information on the title or on a separate paper. Emissions certificate. If the car is registered in another state, you must obtain a valid emission certificate before titling and registering the car. You have up to 15 days from the date of vehicle purchase to transfer the title to your name or face a fine of up to $125. A title is not necessary when registering or titling your car. But, it is risky to purchase a car without a title. You might need this document as proof of ownership if you are grilled on the legality of the vehicle purchased. You must therefore ask the seller, to give you a title whenever you are purchasing a car. If the document is missing, damaged or lost, ask the seller to apply for a duplicate copy for you. They can visit the nearest Quick Title office to apply for one (quick title). The fee for a quick title is $50. A quick title is given to the vehicle owner on the spot. 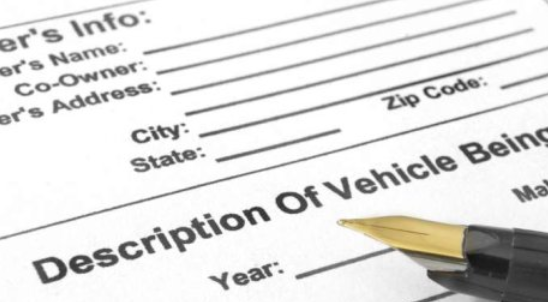 A bill of sale is required when titling or registering your newly acquired vehicle into your name. Plus, it is a valuable document that must be included in your records. You can use a bill of sale to defend yourself if an accusation on evading sales tax arises. Your valid Washington driver’s license. Emissions Testing Report, if applicable. Form TD-420-001 (Vehicle Certificate of Ownership (Title) Application). This form must be notarized and mailed together with your application. Use sales tax which varies by county. An additional 0.3% vehicle sales tax or use tax. Vehicle registration fee which varies by vehicle weight and type. After submitting all the required documentation and paying all the required taxes and fees, you will be issued with new license plates within 10 weeks. There are a lot of car frauds happening in Washington. You must know how to avoid these frauds. First, you must hire a qualified mechanic to inspect the car before purchase. Ask him to determine whether the vehicle has been tampered with. They will also help you verify the authenticity of paperwork obtained from the seller. For instance, ask them to verify the VIN number on the vehicle and other several things. You also need to request a vehicle history report of the car you are purchasing. Based on the VIN, you can check a vehicle’s accident history, ownership history, repair history or odometer reading. This report can protect you from becoming a victim of car frauds.